They say life has only two constants: death and taxes. But sometimes “They” forget to add the other immutable law of the universe: change. In any system, there is no such thing as complete static, total immobility, immutability. There’s always some change at work, even if it’s on a molecular level, and given enough time, it will invariably impact everything it touches. What’s true for the created universe is true for organizations, of course, and that’s why this post exists. In the past few months, there have been changes underway with the team that digitizes, preserves, promotes and provides access to the archival and library holdings of this university. 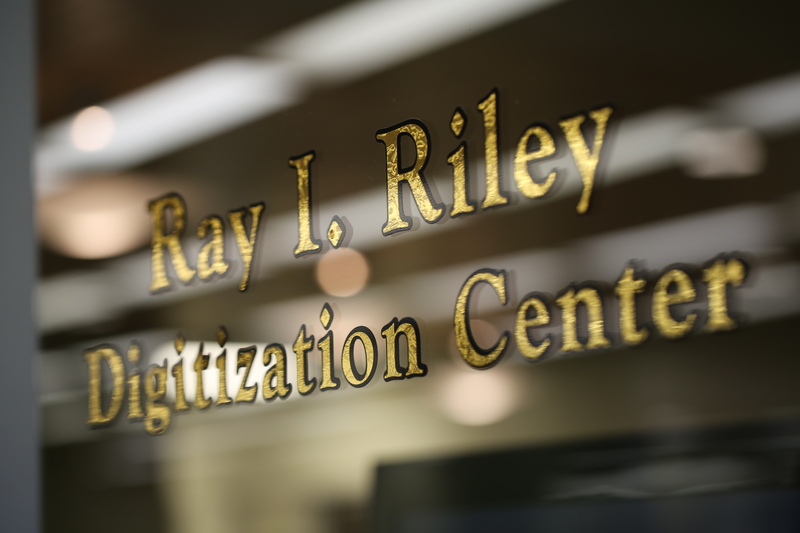 Some are big, others small, but all of them share one common bond: they impact the ongoing work of the men and women who call (or, [spoiler alert] called) the Riley Digitization Center their home. First off, let’s address the most obvious change. The group formerly known as the Digital Projects Group is now the Digital Preservation Services group. The change was made to better reflect the action that is at the core of the work carried out by the DPS’s staff: preserving analog materials in a digital format for long-term access. This change was made during a rebrand of the former Electronic Library (now Library and Academic Technology Services or LATS) which took place last year. While the Baylor University Libraries Digital Collections (which are created and maintained by the DPS) will keep their name for the time being, the DPS will be working to rebrand their online presence both on social media and on the Digital Collections site (digitalcollections.baylor.edu) in the coming days and months. The other big changes to the Group Formerly Known as the DPG involve personnel. For some time, Travis Taylor has been part of the DPS team, beginning as a graduate assistant, then a temporary employee and briefly in a dual-reporting position doing audiovisual digitization and monitoring and tracking usage statistics for the various systems administered by LATS. But some internal moves within the LATS structure allowed the DPS to add another full-time position to the team, and Travis has since moved into that spot to serve as a full-time audiovisual digitization specialist alongside long-time employee Stephen Bolech. He is working primarily with the Black Gospel Music Restoration Project’s analog discs but also assists with video digitization and is investigating systems for film digitization as well. Partnering with the DPS team to take over usage statistics work – and assisting with digitization, quality control and other critical tasks – is Libby Shockley. Libby joined the Digital Library Services and Systems (working under Denyse Rodgers) after serving with the libraries as an Information Specialist in the Library Collections Services department. Libby will work closely with Allyson Riley, who continues in her role as Digitization Coordinator. The final staffing news of note involves our Curator of Digital Collections — me. After working with DPS director Darryl Stuhr for more than 12 years – first as the second (and only additional) full-time staffer and most recently as curator – I left the DPS for a position as Assistant Director of Marketing & Communications for the division of University Libraries and ITS. I am proud to report that my tenure as curator helped grow the Digital Collections from a handful of small collections to a robust repository of almost 500,000 items, including more than 3,000 items in the Black Gospel Music Restoration Project, a complete run of the Baylor “Lariat” (the campus newspaper) and more than 70 additional collections. My curation work, which included loading materials into Baylor’s CONTENTdm instance, will continue under Darryl and Metadata Librarian Kara Long. I will continue my relationship with the DPS in the role of promoting and publicizing the ongoing work of the group, including its established social media channels, ongoing events (like the Voices & Vinyl concert and the Visions of Rapture art exhibit) and in writing grants for use by the DPS in their ongoing projects. The decision to leave my friends and colleagues at the DPS was not an easy one, and being able to maintain these ties to the amazing work being done by this group of talented professionals was one major reason I was able to make the transition with full knowledge that it was the right (if not necessarily easy) choice for me at this stage in my career. The changes will continue for the DPS as it continues to add content to an already-sizable digital collection, with an expected increase in video digitization coming in the near future, as well as the ingestion of additional resources from our campus archival collections. There’s also a change to the appearance of the Digital Collections site on the horizon, as Baylor transitions into CONTENTdm’s mobile/responsive design template, a move that will make browsing our materials on tablets and phones a more intuitive and engaging experience. There might also be new equipment to tell you about soon, the addition of which will allow the DPS to explore digitization in areas where we’ve only previously dabbled. In short: change is what’s next. It’s unpredictable, it’s sometimes difficult, but it’s always been something the DPS team has handled with skill, ability and foresight. So let’s look forward together to what changes await, and thanks for being a part of the journey that’s led us to this moment. Here’s to the future. You did a great job Eric!